I really like this photo that I took in a creek at the bottom of Red Bluff in Foxworth (Mississippi's Little Grand Canyon). I posted this photo a while back. It is not the same photo, but just looking in the opposite direction on the same tracks. This one also has a much different edit, which I actually think fits this photo much better, making it look more mysterious and almost "The Walking Dead"...ish. It really felt like that when I was there taking the picture, so it's fun to try and capture that in the photo for the viewer to experience. I want you to feel like you are really there standing in front of these tracks, wondering what is around that curve. Looking forward to going back and exploring Red Bluff some more. It's been a little while since I last posted a photo from Red Bluff. I got so many good photos that I didn't want to overwhelm the blog too much with them, so after taking a little break from it, here is another one. Red Bluff, though pretty small is still a really neat place that all Misssissippians need to check out. Clever title am I right? Yet another shot from Red Bluff with a better look at how the old highway is quickly eroding (yes I do actually know how to spell it) away. You definitely don't want to take your car on this highway. We hiked down one of the trails at Red Bluff when we were there all the way down to the railroad tracks. 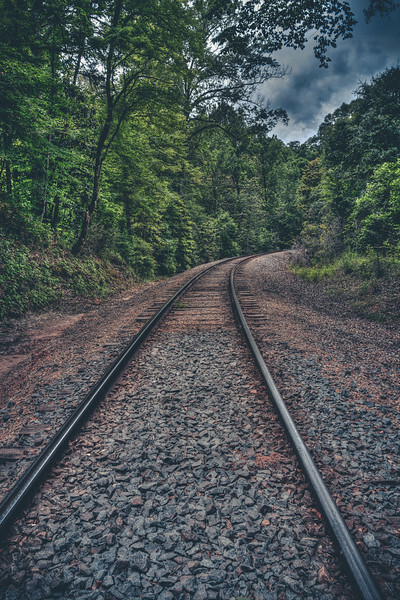 I'm not real sure why people love taking photos of railroad tracks in general but there was something cool about being, what felt like, the middle of nowhere on these tracks so I thought maybe an HDR photo would sort of capture that. 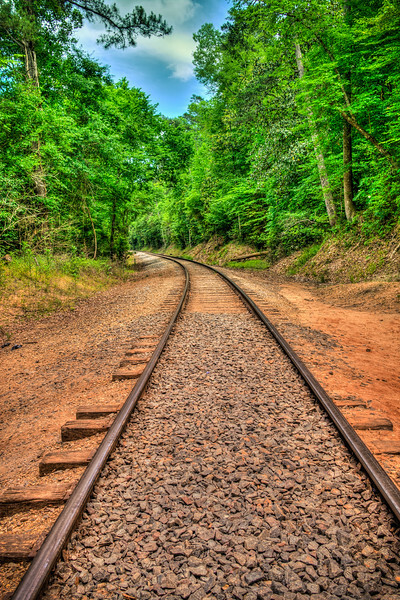 When I was a kid a fantasized about taking off and walking the railroad tracks and see where they would take me. I guess that was the adventurer in me that is coming out now as I explore the state. If you are a Mississippi resident I urge you to go down to Marion County and visit Red Bluff. 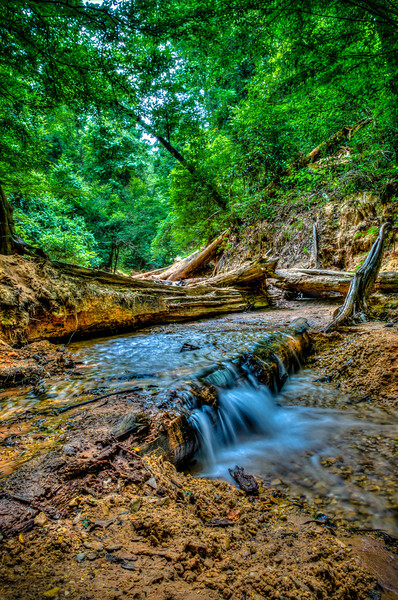 It's a super cool place, and although it won't compare to the Grand Canyon, it's a nice hidden gem of Mississippi. One of the coolest parts of Red Bluff is where the road has caved in as the soil underneath has eroded away continuing to expand the canyon. You can see the remnants of the road on the right side of the image. I have a feeling that if this were a state park that the road would probably be roped off, but seeing as this area is actually on privately owned land there is only a small barricade that keeps cars from driving onto it. So if you go visit, be very careful. I really hope to go back down there again real soon and capture a sunset. While at Red Bluff we hiked down one of the trails that lead to some railroad tracks and a stream that ran under the tracks. I think this stream feeds into the Pearl River which is nearby. 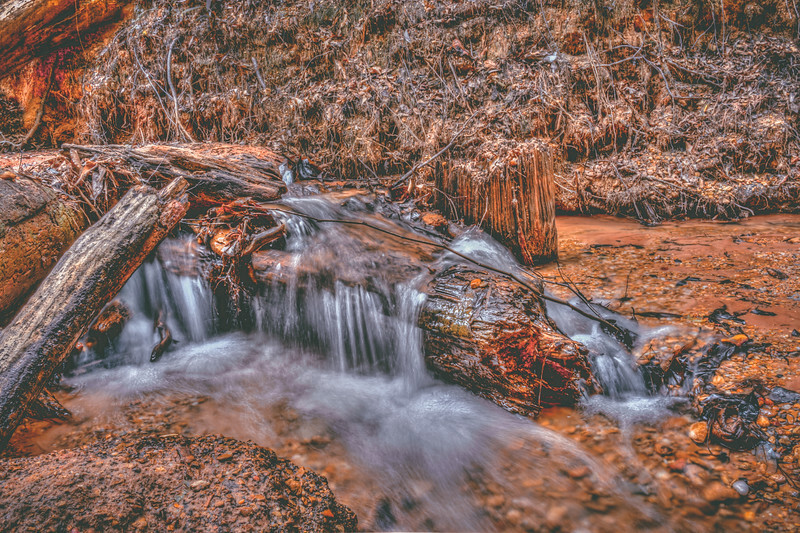 Although this isn't much of a waterfall I thought I would try to get a moving water photo and this was the result. 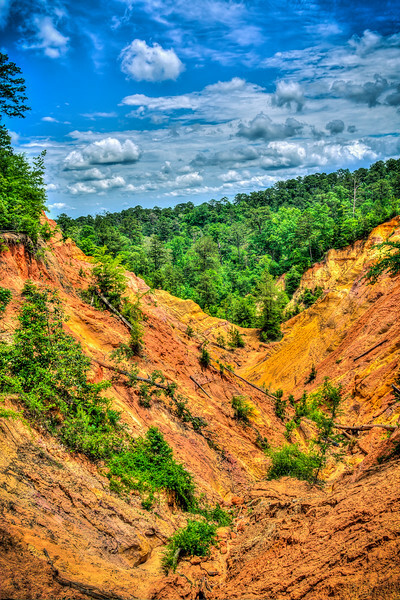 It was a perfect day to visit Red Bluff and we had a ton of fun hiking there. So I had no idea until this year that this place even existed. I found out about it while looking for places to photograph in Mississippi. 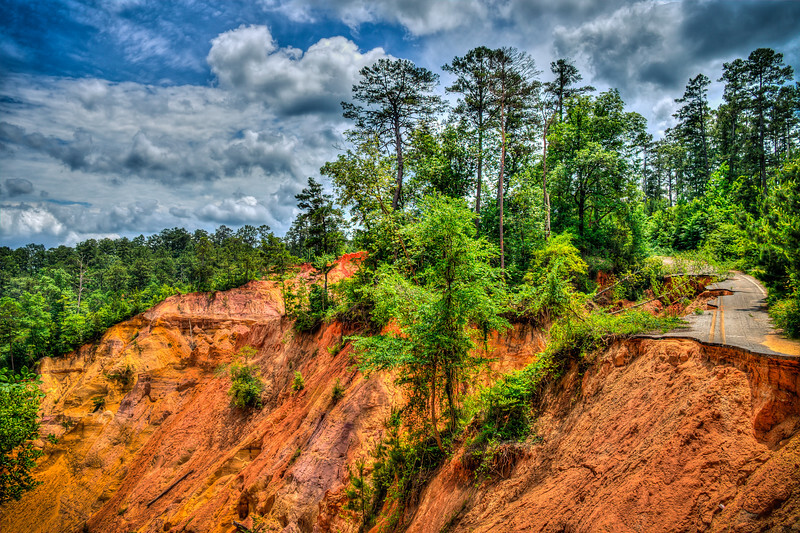 It's also called Mississippi's Little Grand Canyon. While in Hattiesburg last weekend we made the roughly 40 mile trip from there to see it and we did some hiking around there while I shot some photos. 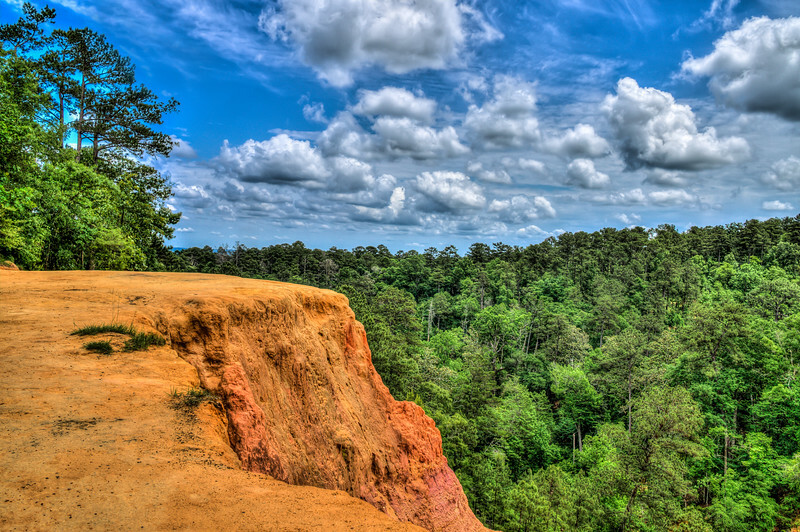 This is the red bluff that looks out over the gigantic hole in the ground. We hiked down to the bottom of the bluff and walked through the canyon and we also hiked down to the railroad tracks that run by it and followed a little stream that runs under the tracks. Although, it's not pictured here, there is a road that has been half eroded away by the canyon that continues to erode every year. 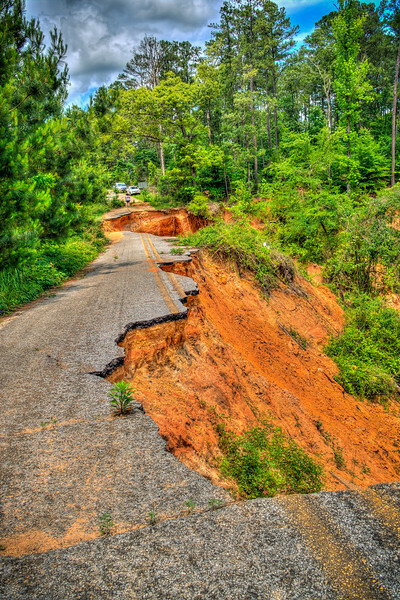 Apparently the erosion has caused the movement of the highway at least two times. A gentleman that I met there said that when he was a child back in the 80's it was maybe half the size that it is now. I would encourage you to visit this little known gem of Mississippi.